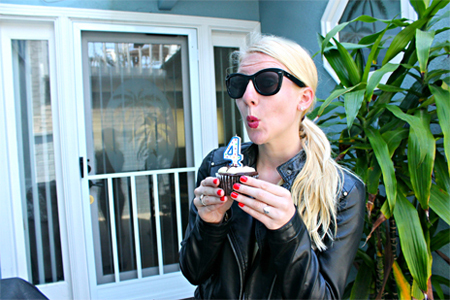 I couldn't be more excited for today as it is Stylelista Confessions's fourth birthday! 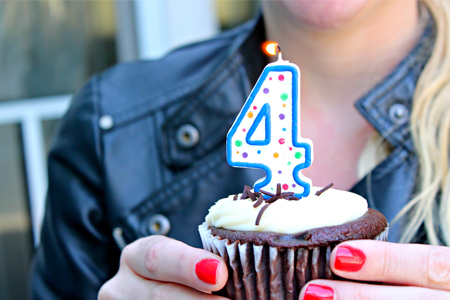 I cannot believe it has already been four years since I started this blog and I owe it all to everyone that has supported me over the past four years! You might recall I started this blog while I was still in college after a terrible breakup and and had no idea it would ever grow to what it has come to be and I couldn't be more grateful for everything I have been blessed with. Now I get to share my closet and loves with my readers and feel so blessed to be as successful as I have been these past 4 years! This blog is my sane place and is something I look forward to writing everyday, even 4 years later! Again I want to thank every single one of you for making this blog a success and am looking forward to the many more years to come! 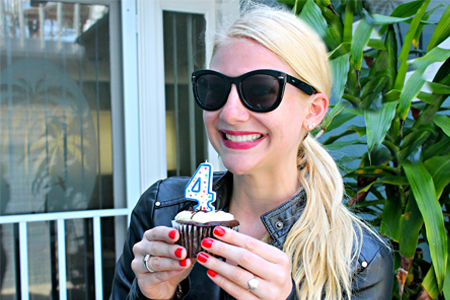 My mom and I did a mini photo shoot to celebrate SC turning four, and of course a yummy cupcake was involved! 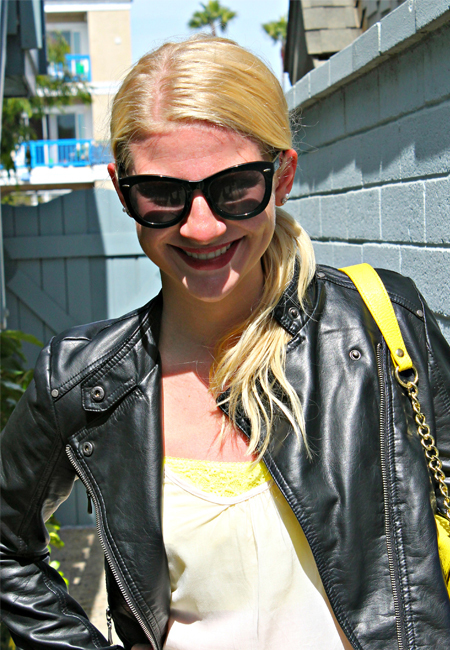 Hope everyone has a stylish weekend! !